Today is the International Environment Day. The Norwegian service business celebrates the event with the campaign “Cut Food Waste 2020”, where more than 1600 companies work systematically to reduce unnecessary discarding of food. The numbers are as clear as they are brutal: One third of all food produced globally is thrown away. In Norway, a minimum of 355 000 tons of fully edible food is discarded each year – numbers from the service industry not included. Around a third of this food waste comes from the food industry. 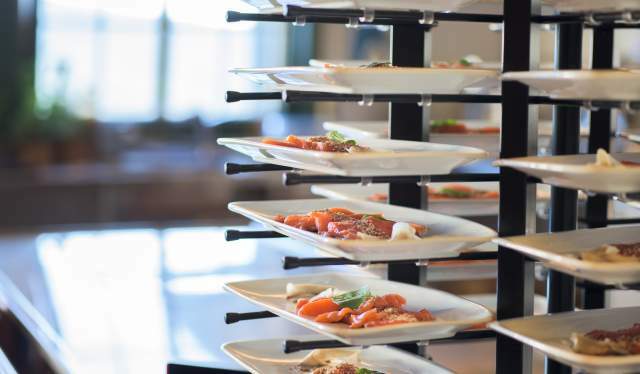 Now, Norwegian hotels and restaurants are taking action, with the specific and ambitious goal of reducing Norwegian food waste by 20 percent within 2020. And a great part of this task involves the participation of guests. Anne Marie Schrøder is the director of communications at Matvett (“food sense”), the Norwegian food and service industry’s company for reducing and preventing food waste. She is thrilled by the growing enthusiasm for this issue. – Absolutely! Having worked with food waste for seven years, we’re noticing how everybody wants in on this. And the hospitality industry has realised that this is what their guests and customers want as well, Schrøder says to Visit Norway. There are several examples of how the Norwegian food industry has taken in the gravity of food waste lately. The supermarket chains have contributed by selling goods with short shelf life cheaper. And several hotel chains focus on getting an overview and finding the reasons for the waste, as well as involving their guests in the issue. The awareness of food waste is also increasing in a sphere historically perhaps better known for its excess and hedonism – the festival life. One of the Norwegian festivals with the greenest profile is Øyafestivalen, which takes place in Oslo’s Tøyenparken in August. Since 2015, the festival has cooperated with the Oslo Food Bank in their distribution of free meals for the disadvantaged. – Øyafestivalen is so happy to be working with the Food Bank. Every year after the festival, both the restaurants in the festival area and our internal kitchens get to deliver the surplus where it comes to use, the festival’s food and environment manager Cathrine Røsseland says to Visit Norway. 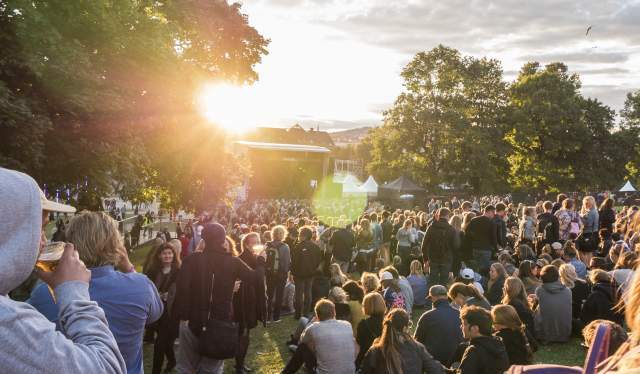 Since the start of the cooperation in 2015, the Oslo Food Bank has received food and commodities forming the basis of thousands of meals from Øyafestivalen. – We encourage all festivals to be conscious of food waste and plan their procurements well, but of course, there will always be margins of error. The Oslo Food Bank is central in covering these, so nothing is wasted. They’re an important institution in our city, making sure edible food is eaten, and not discarded. Anne Marie Schrøder of Matvett is concerned with making food consciousness a natural part of our daily life. – What has struck me in my work with food waste, is how many who says “we don’t throw away food”. But this is a challenge for everybody. Producing food is difficult in itself. That’s why we’re concerned with measuring, weighing and controlling how the food is handled – it’s about stimulating to action and thereby making it a part of our everyday life. The “Cut Food Waste 2020”-project is about facilitating great food experiences with less food being wasted. Since there are no official statistics covering food waste in the service industry, measuring, weighing and registration has been central to Matvett’s work the last year. Instead of focusing on how much food is being wasted, the campaign that was kickstarted today aims to encourage restaurant and hotel guests to make sustainable choices – like being allowed to order a smaller portion if they’re not that hungry, let them choose the different components of the meal freely and offer them to bring the leftovers home in a goodie bag. 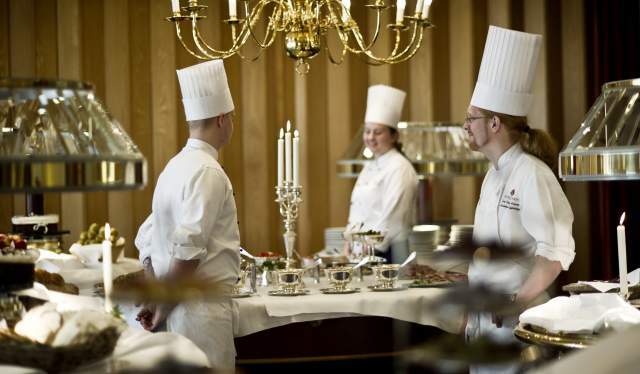 – An important part of the job is involving guests and customers, as about a third of the waste in the industry comes from their dinner plates, Anne Marie Schrøder says to Visit Norway. The change in attitude towards Norway’s food traditions has been formidable. From envying other nations, to celebrating what is uniquely Norwegian in modern and untraditional ways. 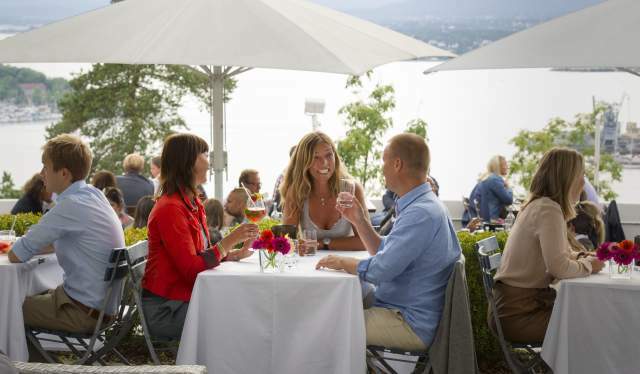 From street food festivals to seafood and other local specialities, food festivals have become an increasingly popular phenomenon in Norway. See our food festival calendar to find a festival where you are going.